First found bashing piano keys at the age of three, Tom's love of music has developed over almost thirty years. 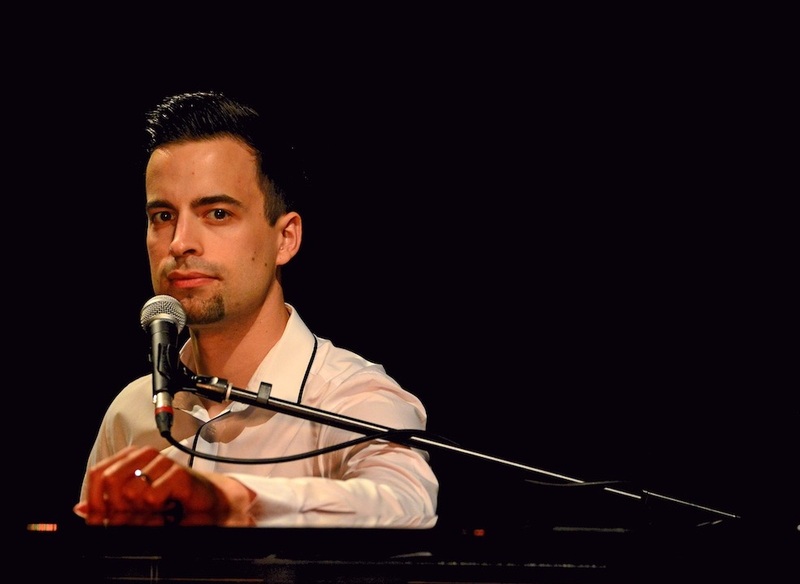 A graduate of Birmingham Conservatoire where he developed his trade with the likes of Liam Noble and Hans Koller, he is now working on a number of teaching and performance projects. Performing since the age of 16, Tom has developed a great love for music and his enjoyment shows at every opportunity. He performs all over the country with his own trio, the 18-piece State 51 Swing Orchestra and a great variety of groups providing music for parties and events. Performing highlights include playing and singing in the Montreux Jazz Festival and leading State 51 Swing Orchestra in front of 3000 people in Manchester. The Tom Lindsay Trio is currently Tom's main project, featuring original material and arrangements of jazz standards and pop tunes. Alongside Tom on piano and vocals feature two rising stars from the Midlands jazz scene; bassist Tom Moore and drummer Ric Yarborough. Pianists such as Keith Jarrett and Bill Evans are strong influences in Tom's music, and from more recent times he is a big fan of the music of vocalist Diana Krall and jazz & funk collective Snarky Puppy. Groups such as Jamiroquai and Tower of Power feature also heavily in his record collection, and a funky fusion influenced by those is the target of a future project. Education forms an important part of Tom's career, and he teaches individuals and groups at Warwick School, Kings High School Warwick and The University of Warwick. Topics typically include improvisation, jazz harmony, chord voicings and ensemble technique. He also teaches a small number of private pupils. Teaching highlights include leading school and university bands to top awards at the National Concert Band Festival.